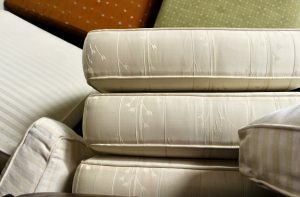 Interfaith is in need of new mattresses that can be donated to our Housing 1000 program. Many of our formerly homeless clients who are moving into new homes do not have the items necessary to comfortably furnish their apartment. Your donations will help our neighbors moving off the streets truly make their new home comfortable and livable for years to come. To schedule your donation today, please contact Rob Shover, In-Kind Donations Manager, via email by clicking here or by calling (760) 215-9637.
Who doesn’t feel better after a nutritious meal? We know residents recuperating from serious illnesses or injuries at Interfaith’s Hawthorne Veteran and Family Resource Center do! 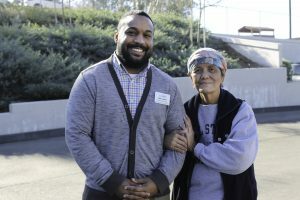 Help them become healthy again and provide the basic need of nutrition by transporting meals (along with our cook) from our kitchen at 550 West Washington Avenue, Escondido to our recuperative care center at 250 North Ash Street, Escondido. While you are there, help serve the meal and afterwards return our equipment (and cook) back to our main campus. Note: Your vehicle must have enough space to carry 3 to 4 coolers. This is an on-going (3+ months), weekly commitment. For more information about this volunteer opportunity, please contact Micki Hickox, Volunteer Coordinator, via email by clicking here, or by calling (760) 489-6380 ext.